Today’s trip came with a fair amount of nostalgia. 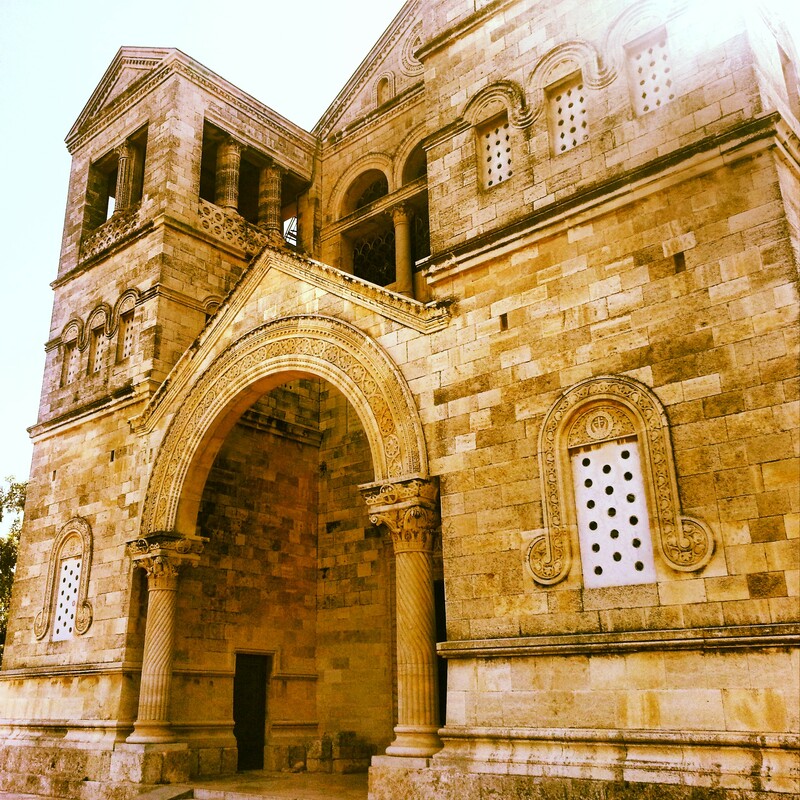 A large proportion of the many tourists who visit Israel every year are Christian pilgrims, so a significant chunk of our studies are dedicated to learning about Christianity and Christian sites in order to be able to help them to make the most of their visit. I went to a Church of England primary school for seven years and as a result am relatively familiar with many of the key moments in the life of Jesus, so it was quite fascinating to begin to visit the locations attributed to these events in the bible and remember the stories from when I was a child. 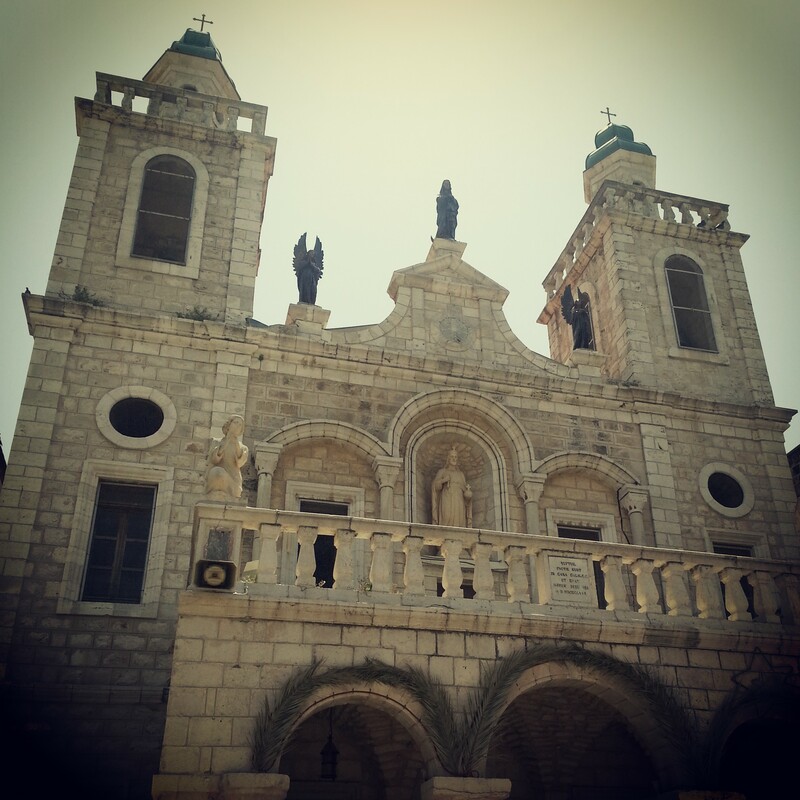 Our first stop was at Mt Tabor and the Franciscan Church of the Transfiguration on its peak. It was the first of what was to be several churches and with each one our guide used the same structure. First, we would learn about the event the church commemorated and would hear the story from the bible. Second, she would tell us about the reasons for identifying the event with the location. Third, we would learn about the history of the building on the site and its architecture. This structure helped us organise the large amount of information we received throughout the day. The Transfiguration was a significant event when before three of his disciples Jesus begins to shine brightly with a heavenly light and he speaks with Moses & Elijah. 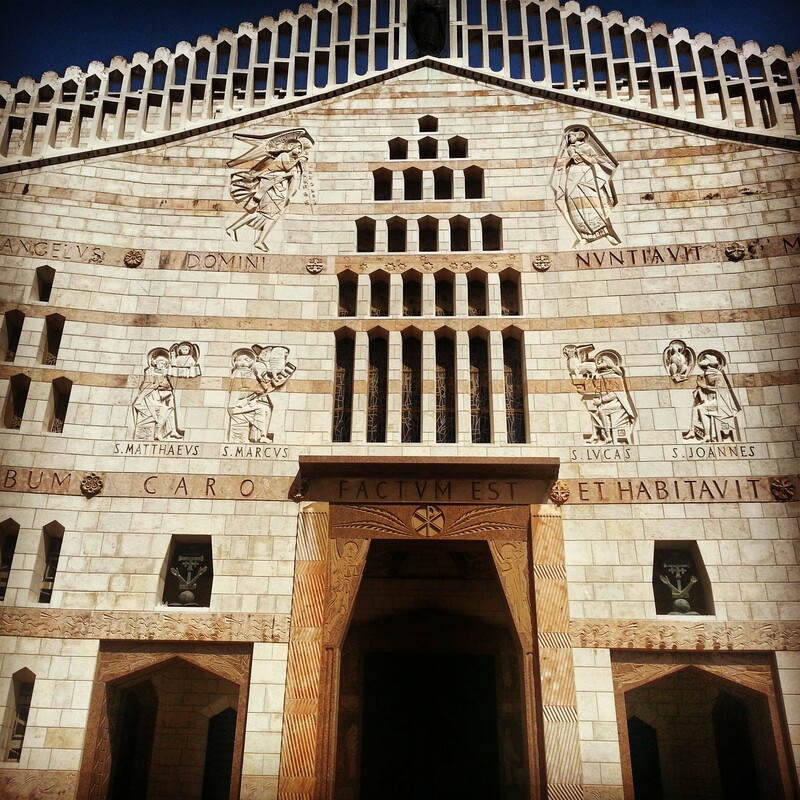 The impressive church was constructed in the 1920s under the design of Antonio Barluzzi, an Italian architect who designed many of the churches in Israel. Our guide explained to us how he always tried to incorporate the event commemorated at the site into his design, together with any archaeological remains – in this case historical churches on the site from the Crusader period and as far back as the Byzantine period in the 4th century. We entered the church and enjoyed the atmosphere. Near the altar it was possible to look through a glass window in the floor down to the bed rock upon which the miracle would have taken place. We travelled north to Kfar Kana, identified with the site of Kana in the Galil as referred to in the Bible. Here is the place of Jesus’ first miracle, narrated in the Gospel of John, where he turns water into wine at a wedding feast. We visited both the Catholic and Orthodox churches at the site which both contain ancient stone water pots and both claim to be on the site of the wedding. Underneath the Catholic church archaeologists found remains of a synagogue; it makes sense that this would have been the location of a wedding in the town. However the churches are close to each other and it is also entirely feasible that the festivities would have spread over a large area, so it is plausible that both could be on the site of the wedding. Also in Kana we passed the Church of St Bartholomew, locked all year except on his saint day, as according to the Bible he came from the town of Kana. In Kana and throughout the rest of the day we witnessed many groups of pilgrims – we were travelling shortly after Orthodox Easter and also Catholics consider May a holy month for Mary, Jesus’ mother. It was quite fascinating to see all the groups, to hear the variety of languages from Russian, Polish and Czech to Spanish, Italian, Tigri and of course English. We continued south west to Nazareth. In the time of Jesus, Kana was the large city of which Nazareth was a small satellite village. 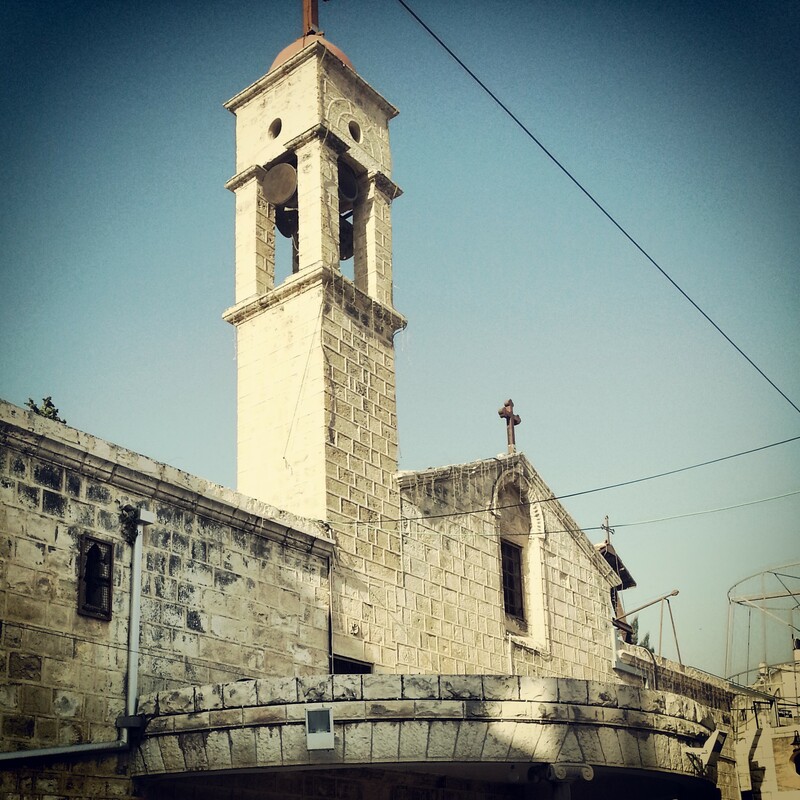 Now, because of the fact that Nazareth has become a holy site, it is Kana which is part of the Nazareth municipality. Our first site was the colossal Basilica of the Annunciation, one of the most important churches in the world. This church marks the site of the Annunciation – when the angel Gabriel came to Mary and told her that she would give birth to the son of God. The church is modern, having been constructed in 1969, but like most of the churches in the area is built over ruins from a crusader and Byzantine church. In fact, there is even evidence of pre-church Christian ritual in excavations in the crypt. The crypt contains the cave which is considered the home of Mary and has been dated as a dwelling cave to the right time period. It is a quiet, dark and sombre space; after visiting we went up the stairs to the main basilica where we witnessed part of a mass for a visiting group of pilgrims. 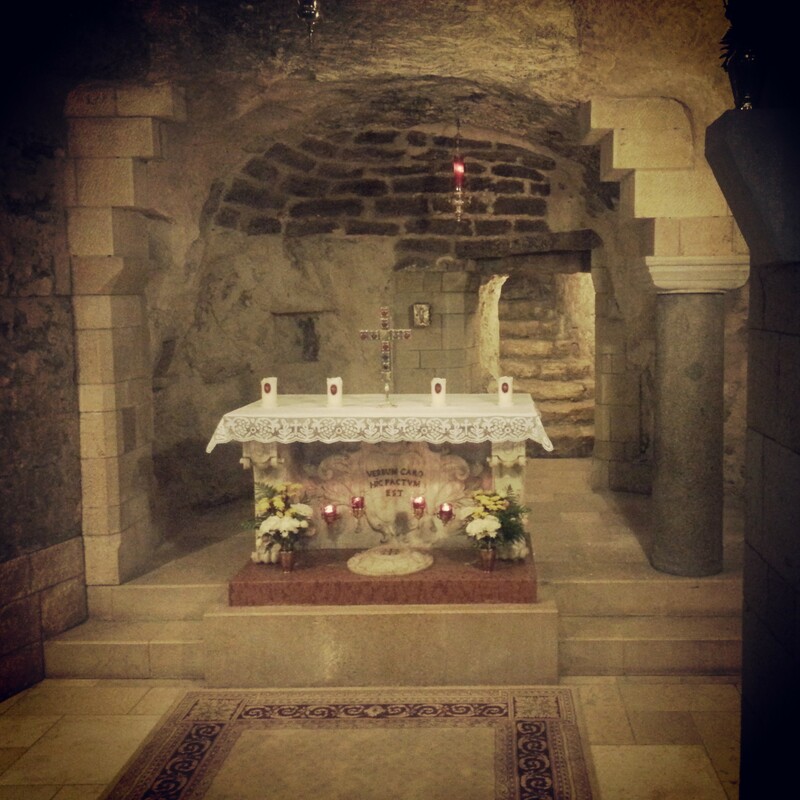 Close by, in the same complex, is the significantly smaller Church of St Joseph which was constructed over another cave, considered to be the home of the Holy Family on their return to Nazareth and the location of Joseph’s carpentry shop. Here you cannot really see directly into the cave but on descending into the crypt you can see glimpses of it through some bars. We walked into the narrow alleys of the market to our next stop, the confusingly named Church of the Synagogue. 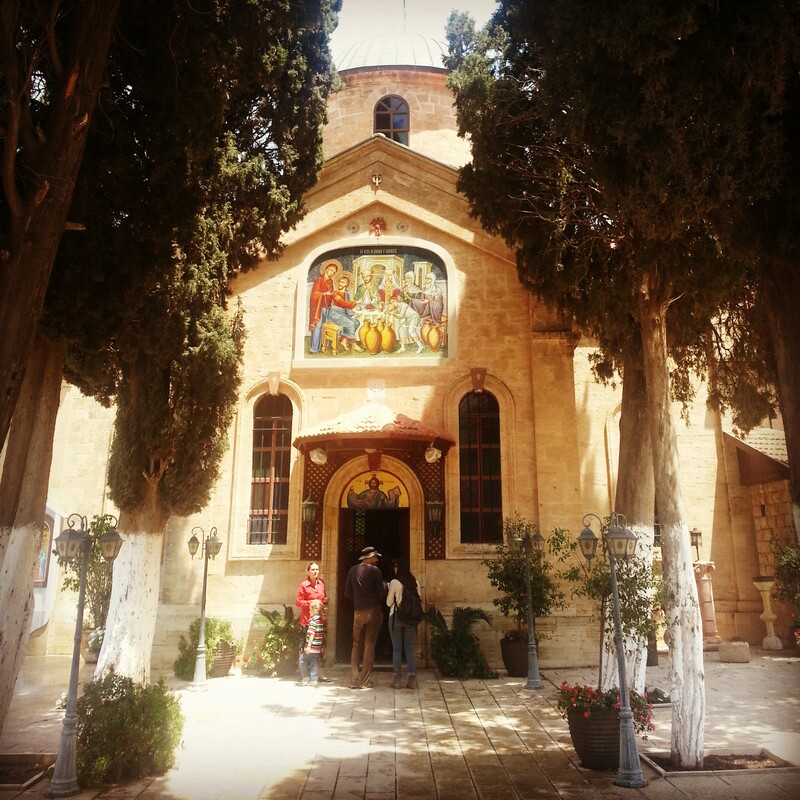 This Orthodox church is located on the site traditionally associated with the synagogue of Nazareth. Here, according to the story in Luke 4, Jesus read a prophecy from Isaiah and announced to the congregation that he was here to fulfil it. Unfortunately they were not ready to receive this news and reacted rather badly, expelling Jesus from the town, even about to throw him off a cliff, although fortunately they did not follow this through. Our final brief stop in Nazreth was at the Orthodox Church of the Annunciation. 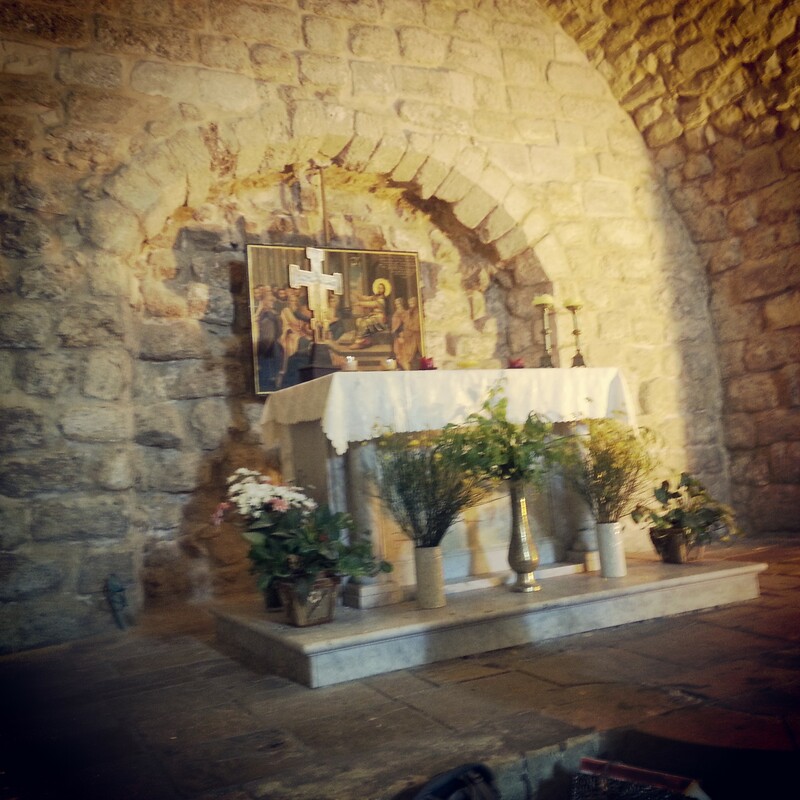 The church is located over the Nazareth spring (known as Mary’s spring) and is based on a story from the Gospel of James, part of the Christian apocrypha. Here we learn that the Annunciation actually happened in two stages: first the angel Gabriel appeared to Mary while she was drawing water at the spring, but she was frightened and ran back home, where he appeared to her again and delivered the full prophecy. 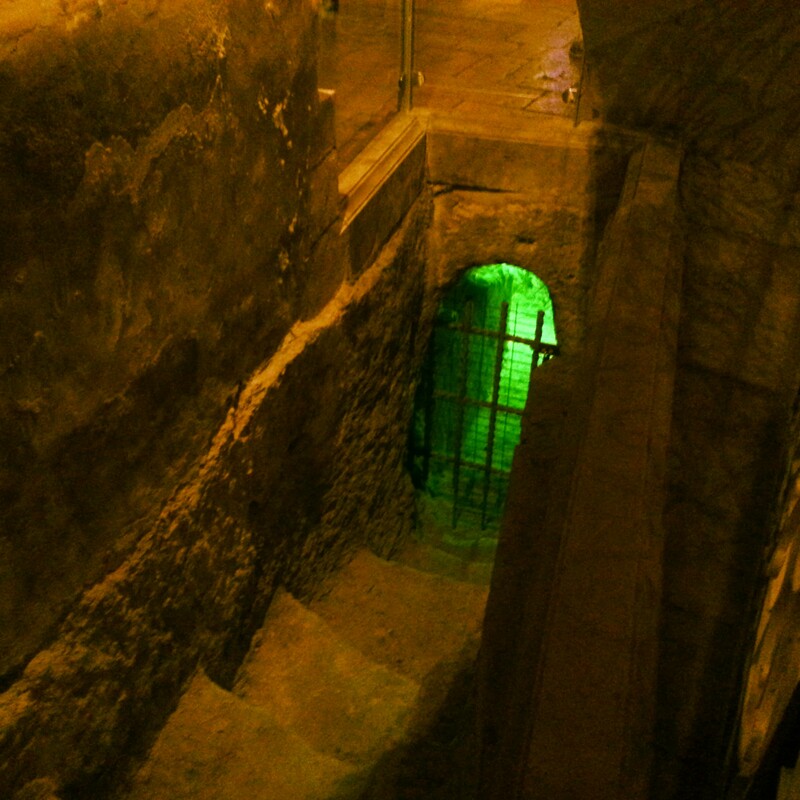 In the crypt of the church it is possible to look down on the spring (the only spring in the city, so it is also the spring from which the Holy Family would have drawn their water) and it is also possible to touch the holy water through a pipe system. We then left Nazareth for our last stop of the day at Mount Precipice. This cliff, located just outside the city, is considered the site to which Jesus was expelled following his problematic announcement in the synagogue which I mentioned earlier, and indeed there is a sheer cliff face from which he may have been thrown. The site commands outstanding views of both the Jezreel Valley and Nazareth; it was with these stunning vistas that we wrapped up the day. I’m pleased to say that I thoroughly enjoyed my first Christianity field trip. I felt that I learned a lot about an important world religion (33% of the globe identify as Christians) and it was moving to see the pilgrims many of whom were really quite overcome with being in the holy sites. Regardless of belief, there is something rather exciting about being in a site identified with a historical event (in this case as told in the Gospels) and reading the story in situ. I’m looking forward to the rest of our Christianity excursions!